Many variations in coloring and detail of the Chevrolet bowtie have come and gone over the decades since its introduction in late 1913, but the essential shape has never changed. In 2004, Chevrolet began to phase in the gold bowtie that today serves as the brand identity for all of its cars and trucks marketed globally. 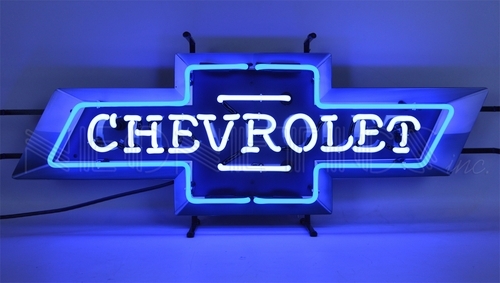 This Chevrolet Bowtie neon sign is all hand made. The tubes are all hand bent and attached to a metal grid to hold them in place. These signs can be placed on a table, hung on a wall, or placed on a window. 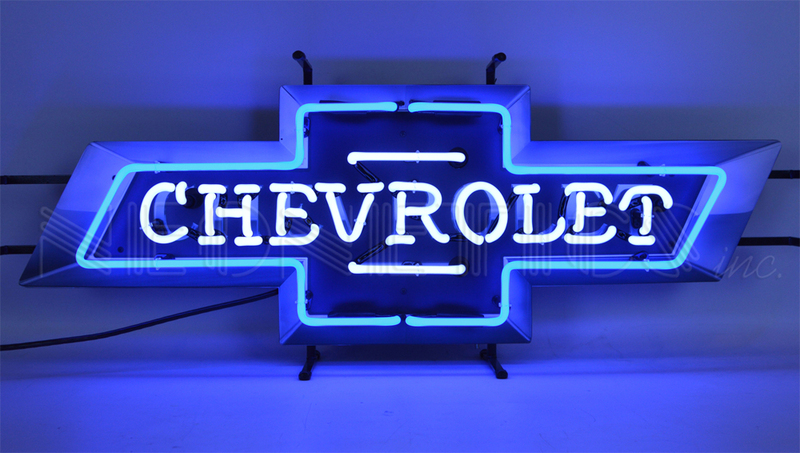 The bright neon will light any room with great color, and attract lot of attention. These signs are designed for many years of use.